Caption slip reads: "Photographer: Olmo. Date: 1953-12-25. Reporter: Massard. Assignment: St. Vibiana. 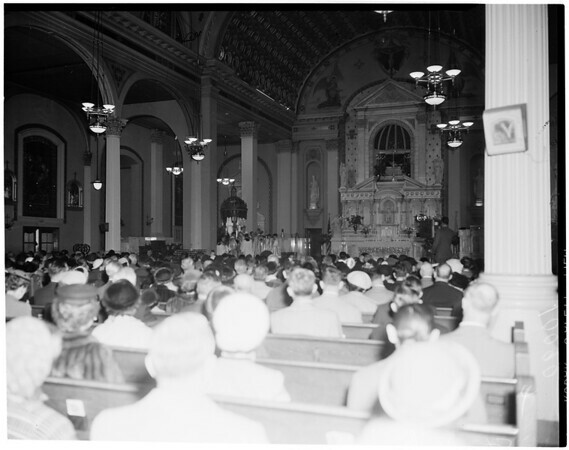 James Francis Cardinal McIntyre celebrating mass at St. Vibiana."